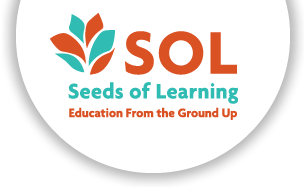 The first Seeds of Learning work group has arrived to Puerto Rico on Saturday, March 16th at 12:30 PM. They were met by SOL Puerto Rico staff member Dominic Tommasi as well as SOL Nicaragua staff member Julian Guevara. DAY 1 FROM DOMINIC TOMMASI: I’m very happy to let you know that the group has arrived in Arroyo and have just gone to sleep after a long day of traveling. Despite an hour delay in Newark the group arrived without any incidents. Today included an orientation about SOL and how we go about volunteering in the communities of Puerto Rico, a wonderful dinner of coconut curry with veggies, rice and kale-pineapple salad, and getting to know our amazing hosts here at Trama. Looking forward to another eventful day of getting to know the area in which we are working! Thank you all and I will send another update tomorrow night!